Fit Fluential Mom: Get Your Children Ahead Before They Even Start Kinder! Get Your Children Ahead Before They Even Start Kinder! As the proud mother of an amazing 4 year old, I want nothing more than to watch my daughter succeed in life. That is one of the reasons I decided to start working with her on learning her shapes, colors, numbers, letters and more as early as 2 years old. By the time she was 3, she was already writing her name, reading sight words and doing basic math. Now at 4, she's already reading at 1st grade level, adding, subtracting, telling time and TONS more. And she's not even in kindergarten yet. There has long been an argument between mom friends of mine whether you should or should not work with your child in order to help him or her get a head before they start kinder. Some moms say not to do it because the child will then be bored when they start school. I do not believe this at all. As a former teacher, I loved when my students came into class prepared and already had the foundation for what they were going to learn. I saw that they had more confidence when it came to school work and learning new things that they were not already exposed to. If you have kids at home, it would benefit them to spend at least 15-30 minutes per day working on educational topics that they will see in the upcoming school year. This will not only prepare them, it will give them extra confidence and a step ahead so the school year is not so challenging. Standards are getting increasingly more difficult so it would benefit us to help them. Now, as a former teacher, it is not difficult for me to find resources to teach my daughter. For some moms, though, it can be tough to decide what resources to use and where to get them. I got a lot of my books at the dollar stores (the 99 Cent Store & the Dollar Tree). I also purchased some of the curriculum books at Costco. I got large books there that included every topic (letters, numbers, sentences, reading comprehension, math, etc) for less than $10. 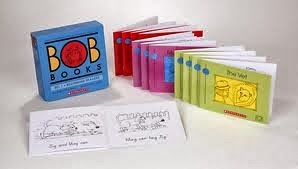 Costco also has 20 book sets of BOB books which are EXCELLENT for teaching reading. Those were key in helping my daughter learn her sight words and begin reading independently.